For Hawaii teens about to begin the journey toward driving independence, there are a few steps you'll need to complete before hitting the road. Many states, including Hawaii, have initiated a Graduated Driver's Licensing (GDL) program that requires teens to achieve age- and driving experience-related milestones prior to getting an unrestricted driver's license. One of the first steps in the GDL is to get a Hawaii instructional permit. 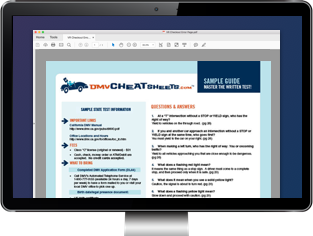 Below you will find everything you need to know—from what you'll need to bring to your local Department of Transportation (DOT) office, to details about why taking an online permit practice test is so important. It's important to note that there are 4 different counties in Hawaii and certain rules and regulations may vary. As a general rule, you should always follow your local county-specific rules if they differ from the state-specific rules. Each county of Hawaii also has a unique name for the department that handles driver's licenses. To keep things simple, we will simply refer to them as the DOT. City & County of Honolulu: (808) 768-9100. If you're new to the state you must meet Hawaii's GDL requirements for obtaining an instructional permit. If you have a permit from your previous state, unfortunately it will not transfer to Hawaii. This means that you'll have to provide the documents mentioned below to your local DOT, as well as pass the written exam in order to get your Hawaii instructional permit. To get your Hawaii instructional permit, you must be at least 15 1/2 years old. As part of Hawaii's GDL, taking a Driver's Ed course is not required until you have had an instructional permit for 180 days and you're ready to get your provisional license. For more information about Driver's Ed in Hawaii, please refer to our Hawaii Driver’s Ed page. A completed State of Hawaii Driver's License Application. It's important to note that depending on which county you live in, both parents must either be present or sign your application and have it notarized. Please check with your county for more information. Proof of identity (e.g. birth certificate, valid U.S. passport, immigration documents). Proof of Social Security number (e.g. Medicare ID card, W-2 form, pay stub with your SSN). Proof of legal presence (e.g. Permanent Residence Identification Card, Temporary Resident Identification Card, or Certificate of Citizenship). The documents mentioned above must be valid originals or certified copies. Photocopies or faxes will not be accepted. For more information regarding these documents, please visit the DMV’s list of acceptable documents. You will then be required to take your written exam (see below). Now that you have all the required documents gathered, it's time to take your written exam at the DOT. As you know, the DOT is a busy place. Save yourself some time and make an appointment. The written permit test consists of 30 questions regarding road signs and road rules. Once you pass the exam, you'll also need to successfully pass a vision screening. Pass both of these tests, pay the appropriate fee, and you'll earn your learner's permit. Don't be one of those people that has to take the written test more than once. With the help of an online practice test you can rest assured that you'll pass the test with ease. When accompanied by a licensed driver who is at least 21 years old or older and is licensed to operate the same type of vehicle. When driving between the hours of 11:00 p.m. and 5:00 a.m., the supervising driver must be seated next to you in the front seat. If all occupants are wearing seat belts. If children under 4 years old are properly restrained in a child safety seat. During this learner's permit stage of the GDL, you are required to complete 50 hours of supervised practice driving, with 10 hours being driven at night. These hours must be logged on a Behind-the-Wheel Student Completion Certificate (Form HDOT DE-21). Your driver's permit is valid for 1 year. If you need to, you may renew it 30 days prior to expiration. If you fail to renew your permit within 30 days after the expiration date, it will result in you having to wait 180 days before being eligible for a road test. If your learner's permit is lost or stolen, you can get a replacement, but you'll need to visit your local DMV office in person. Be sure to bring all the documents mentioned above with you during your visit. For more information, please refer to our page on Replacing a Lost License in Hawaii. With a Hawaii learner's permit in your possession, it's time to start experiencing what life is like on the open road. Although driving is a very liberating experience, we ask you to use extreme caution at all times. The next step in Hawaii's GDL is to complete a state-certified Driver's Ed course to get your provisional license. For more information, please refer to our HI Teen Driver’s License page. You must submit this completed form to the Honolulu DMV as proof you completed the required driving practice for an HI driver's license. Form not available online. Must be obtained from your driver education provider.